WATCH TEAM PUZZLE QUEST AND TEAM D3 GO! COMPETE AT PRO TOUR HOUR OF DEVASTATION - D3 Go! Pro Tour Hour of Devastation (#PTHOU) taking place in Kyoto, Japan is finally here! Both #TeamPuzzleQuest and #TeamD3Go are fighting to the finish to end up on top. The 3-day event begins on July 27 at 5pm PT and the sponsored teams have been prepping together for the last couple of days to compete at their highest level! 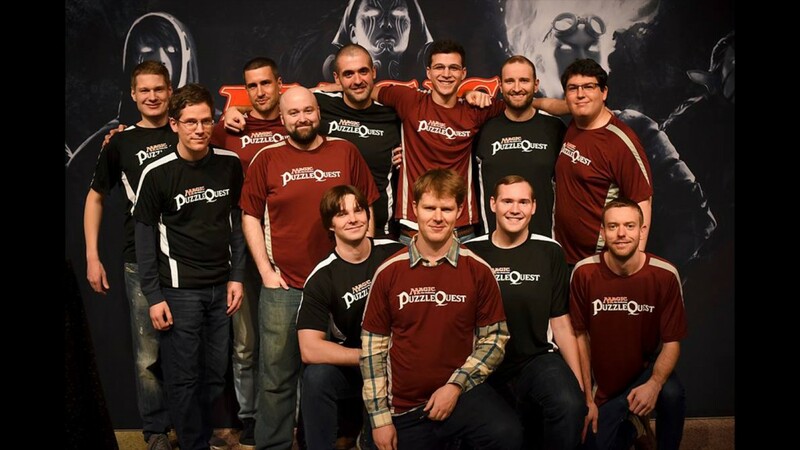 At the Pro Tour Amonkhet last May, William (Huey) Jensen finished #13 (the top #TeamPuzzleQuest and #TeamD3Go finisher) while Owen Turtenwald and Reid Duke rounded out the Top Twenty at #18 and #20. Coming into the Pro Tour, William Jensen has been on a tear in recent weeks. After victory at Grand Prix Cleveland, he continued his winning ways at Grand Prix Kyoto. He is for sure, one of the top players to watch throughout the weekend. After Pro Tour Amonkhet, #TeamPuzzleQuest has 73 points and is currently #5 while #TeamD3Go! has 45 points and is currently #31. Watch all the Pro Tour action starting on July 27 in Kyoto, Japan and the coverage will be streaming on Twitch. And follow the team members as they compete in the tour all weekend long (see Twitter handles below). And don’t forget to play the recently released Hour of Devastation Card set in Magic: The Gathering – Puzzle Quest as we have introduced new cards, planeswalkers, events and more. Download Magic: The Gathering – Puzzle Quest for FREE on the App Store and Google Play HERE and get ready to wage war in epic puzzle battles today! MAGIC: PUZZLE QUEST 3.3 UPDATE IS HERE! PRESS RELEASE: NEW ALIEN GAME FROM FOXNEXT AND D3 GO! PRESS RELEASE: THE GARDEN WILL GNEVER BE THE SAME IN A NEW MOBILE ADVENTURE GNOME GAME FROM D3 GO!